In the past few months, I have been doing a considerable amount of thinking about truth. What is truth? Is it as simple as a truth is the opposite of a lie? I don’t think so. I am not writing on the topic of truth to expound on how telling a truth versus telling a lie. I think that would simply cause us only to go round and round with defining truth. My goal is to delve deeper and address the differences between subjective and objective truth. I have reached the conclusion that more often than not any person’s truth tends to be more subjective rather than objective, especially regarding the topics of God, humanity, the origins of the entire creation, and religion. 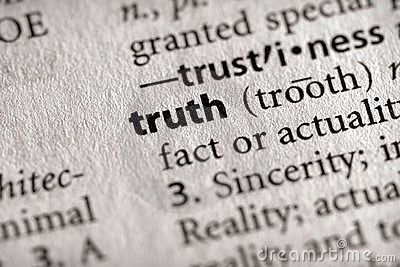 Dictionary.com defines “truth” as the “true or actual state of a matter, conformity with fact or reality, a verified or indisputable fact, or the actuality or actual existence of something”. 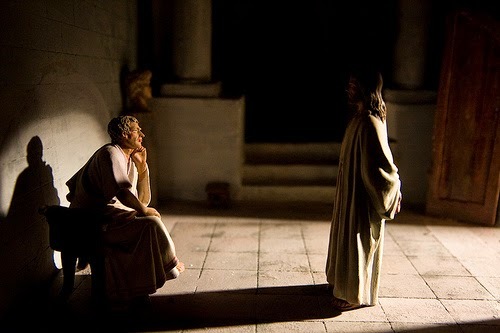 Pontius Pilate spoke the words “what is truth” to Jesus just before Jesus was condemned to be crucified. In looking at the four different Bible translations I prefer to use, I find each one reads a little different. In each of those translations, the punctuation varies causing the meaning of the words to also vary. Commas are arranged differently and the use of question marks, exclamation marks, and periods also varies. Punctuation was not part of the ancient Greek writings and was added to the scriptures over the years in order to bring ease to their reading. However, punctuation holds the power to affect the meaning of words. Observing the differences between the translations only reinforces my desire to write this article on truth. Those are four different variations of the “truthful” dialogue between Jesus and Pilate. In his question to Jesus, I believe Pilate was making a rhetorical statement, not one he expected an answer to. I read it as him saying to Jesus, “Who can really know what the ultimate truth is? 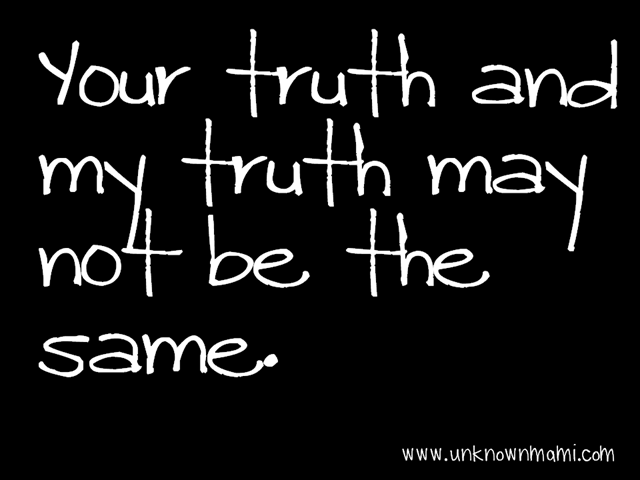 Your truth is not necessarily my truth. If only we could get to the actuality of truth.” The four different translations of the very same event in John 8:37-38 highlights the point I will be making in this article: human beings are often speaking in a context of subjective truth rather than objective truth. What is the difference between subjective and objective? Objective statements are facts that can be verified by third parties while subjective statements may or may not be entirely true as they are colored by the opinions of the speaker. Subjective can be used when nothing tangible is at stake. by the character of the speaker or writer. I hope this doesn’t come across as a shock, but every human being is biased! 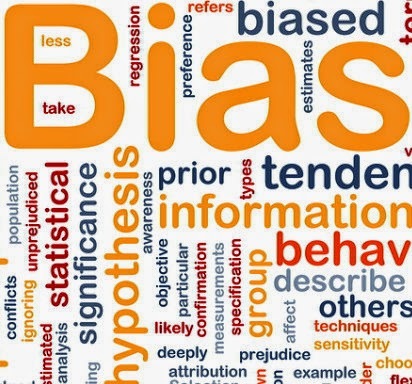 We are so biased that we are typically blind to our own bias while quickly pointing out the bias of others. And right here, I will admit that this writing will be tainted with my personal bias based on who I am and the experiences of my life. Bias is part of who we are and how we feel and act. Bias is part of our character and our personality. Bias is ingrained deep within our soul. For the most part, our bias stems from things over which we have had no control. It is continuously being embedded deeper into our human soul as our body and mind react to all the experiences that began the moment we were conceived. What is truth to me simply may not be truth to you and vice versa. Why? Because we are unique individuals, and we have had very different life experiences. As human beings, we are similar in the aspects of human nature, but within our heart and soul, we are as distinct as our fingerprints. “Every single choice we make has been influenced by something that has touched us in our lifetime. Every single thing that we have ever heard, seen, felt, and experienced in this earthly world has influenced our thought processes and the choices that we make. Every choice we make and every belief we hold dear and proclaim as truth has been influenced by the combination of who we are at the most basic level and all else which has touched us in our lifetime. Every one of the factors predetermined for us at the moment of conception and every single experience we’ve had since then (from the most mundane to the most complicated) has played a part in developing our bias towards what we believe is true or not. People are capable of understanding and expressing objective (tangible) truth. But I've discovered that we often get caught up in a great amount of subjective truth and try to put it off on others as being objective. It is an objective truth that I am alive and breathing, sitting here at the computer typing these words, and my dog lays asleep at my feet. However, the words I write in this article contain subjective (biased) truth. 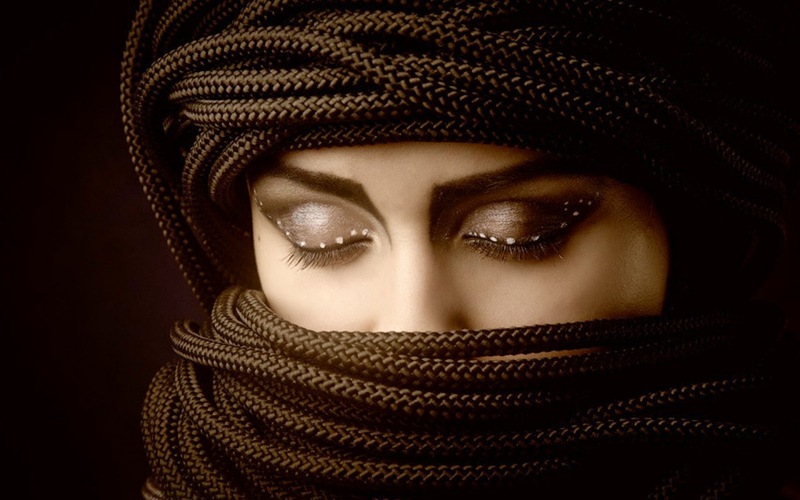 This morning, I was considering the Muslim women who are made to wear burqas and be completely submissive to those of the male gender who proclaim that is the way God (their version of God) says it must be. I thought of how those women are subjected to such humiliation and oppression and that for them to speak or act against it could mean serious physical harm or even death. Thinking about them being subjected to that life out of no choice of their own, but simply because they were born as female in that part of the world and into that culture, during a particular era, reminded me of the scripture that says God subjected all of creation to vanity on purpose. And that also reminds me of the scripture that says God will be merciful to all. that He should be merciful to all." Ultimately, we are all subject to God and His plans. Now, I am completely aware that the belief of God being real and true can be considered a subjective truth and that my statement may be found offensive by some people. But I did admit that in writing this article I would be guilty of inserting my own subjective truth. There are people who cannot believe that God exists. They have never seen or heard God, and to them it cannot be proven that He does exist. Any amount of “proof” a God-believing person can offer an atheist to convince them God is real will be as effective as the atheist offering their “proof” that He is not real to the God-believer. Faith is an act of God, not of man. I was recently reading a book in which the writer, who used to be an Episcopalian bishop, professed his beliefs that there is no creator, all that exists came into being by accident and evolutionary processes, and that all of life is entirely accidental. In his book, he proposes there is no one God who is over all and responsible for all and instead, “God” is humans reaching a higher level of consciousness. He even capitalizes the word “God” all throughout his book. Every time I read his word “God”, I had to keep reminding myself that he was speaking of an utterly different God than I am familiar with! His usage of “God” was bizarre to me but perfectly normal for him. I read his writing with respect for his beliefs and for his life journey, but within my soul I felt a disturbing friction with his beliefs. My soul could not accept what he was saying. My soul cried out, “These ideas feel so wrong to me! I cannot agree or currently consider such things to be remotely true.” As I read the book, the reaffirming words of the “God is real” event kept coming back to me. I’ve come to a gracious realization that the writer's truth of God cannot prove to me that God does not exist anymore than my truth of God can prove to him that He does. 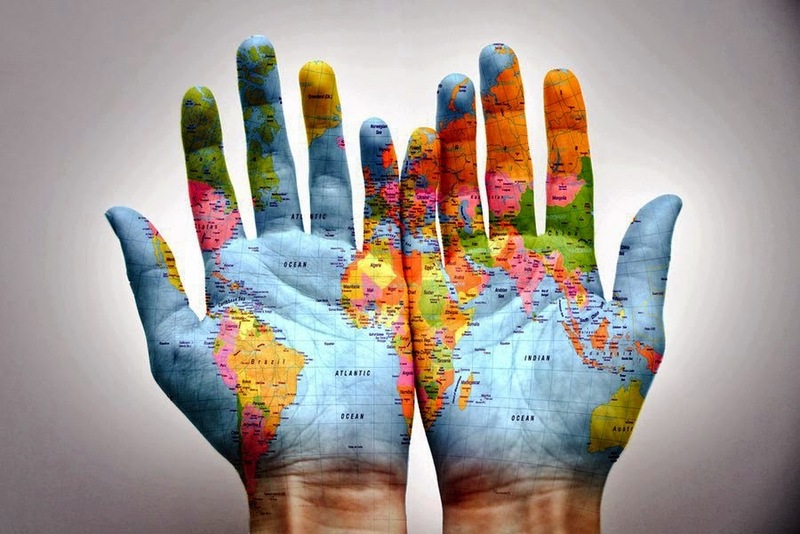 Where does that leave us as we face our differences of truth? 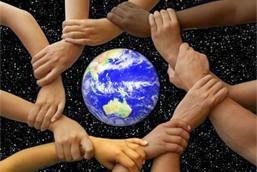 I believe that where each one of us stands in our belief system of what is true or not ultimately rests in God’s hands. All the factors that affect our beliefs, from the most basic in nature to the most complex experiences, have been ordained and set into motion by His doing. Once again, I understand that my truth that God exists and is in complete control is subjective because I cannot tangibly show you God. I cannot drive you to God’s residence, knock on his door, and have you lay eyes on Him and hear Him speak to you in a tangible way. My personality and life experiences have led me to conclude that God is true and that He is ultimate truth. Your personality and life experiences may have led you to conclude the total opposite. And I will respect that. 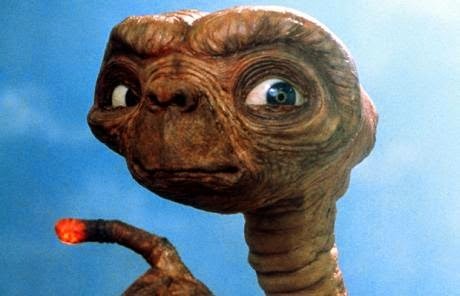 There are all kinds of beliefs and religions out there in our big world! 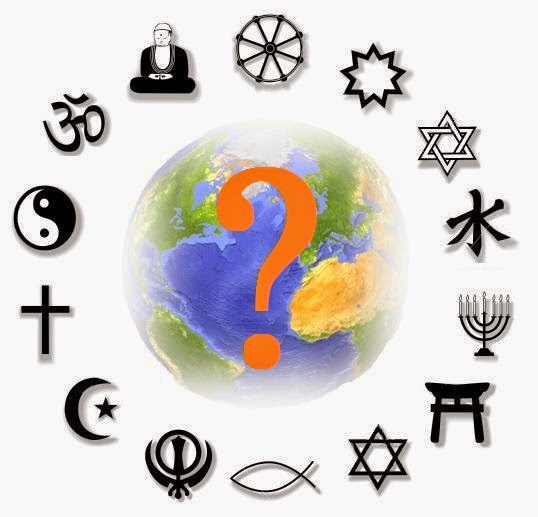 I came across the Big Religion Chart on the internet listing many of the world’s religions and some quick facts about them. Each varying religious belief proclaims to be the truth that all should seek and live by. That is subjective (biased) human reasoning. On the other hand, it is an objective (unbiased, tangible) truth that under each main religion there exist a variation of individual beliefs. Even within each religious camp there is not one hundred percent conformity. The Christian camp professes God is revealed in the son of God, Jesus Christ, and the writings of the Bible. The Muslim camp professes that the prophet Muhammad and the Quran writings reveal God’s character and will. The Hindu camp believes in one God made manifest in many gods and trusts the Vedas to be the holy writings. The camps question each other’s beliefs about God, who or what reveals Him, and their holy writings. Each camp proclaims that only their version of God and their followed writings are the absolute truth. Each camp worships God in diverse ways and also questions the ways others worship. The God defined by the Christians, Muslims, and Hindus has very different characteristics. Which one is true? What an excellent question! I would challenge anyone reading this not to simply say, “Well, only mine, of course! “The [writings or teachings of so and so] say it is true!” Each one of our personal versions of God is subjective to countless factors from the moment we were conceived. I challenge readers to think long and hard about that question and its implications before formulating an answer. they are all in correlation with who we are in our soul (genetics/personality) and how all of life’s experiences and our culture have affected us. Day after day, the differences of beliefs between people all over the world go on and on. These beliefs are used for good and evil. I observe much judging and attacking, in person and through the internet, and a huge amount of it is due to people wanting to push and force their beliefs upon others. “Your truth is a lie, and my truth is right.” “You are wrong, and I am right!” I am not suggesting we do not have the freedom to share what we believe to be true. We do! I am suggesting we do not have the right to ravage people’s character or emotions or to demoralize them because their version of truth does not align with our own. We do not have the right to condemn others and murder them with our words (or hands) if they do not conform to our line of thinking. I believe in the one God and His son, Jesus Christ. Yet, my beliefs are no longer in complete alignment with the way Christianity is typically defined. Therefore, I no longer call myself a Christian. I prefer not to label or define my beliefs under any particular religious camp. I am looking to and trusting God, not man, to direct my life journey and faith. Since arriving at the belief that God will one day ultimately reconcile all people to Himself and that there is no place called hell, my love and graciousness toward other people has grown by leaps and bounds. I have found myself casting less judgmental stones to people who are outside my beliefs' camp because I wholeheartedly believe God deems everyone valuable and worthy of His boundless love and extravagant grace, no matter what. Instead of throwing stones, I have felt an expanding desire to understand the people in other camps and to hold out my hand in help, kindness, grace, and love without thinking that they are in any way lesser than I am. By God’s design, we were not meant to always agree or understand one another. 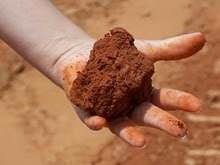 But beyond that moment in time, when God caused confusion in the languages and the people became scattered over the whole earth, I am convinced we are called to love and care for one another generously, in spite of our differences, and to come to a realization that we are all from the same lump of earthly clay. Not one of us is better than another. Not one. Question of a whole lifetime ... "What is truth?" Your question is a really good one. I believe each one of us holds our own truth so my truth doesn't void out your truth and your truth doesn't void out mine but in the end anything that is believed passionately and without reservation is truth. Truth cannot change or it is no longer true. I can only think of One who does not change. Reality as God sees it. I keep asking the same question on so many levels. It's interesting that good olé Pontious Pilate SAID " What is truth." He wasn't asking. It would seem some aren't really interested in its discovery. 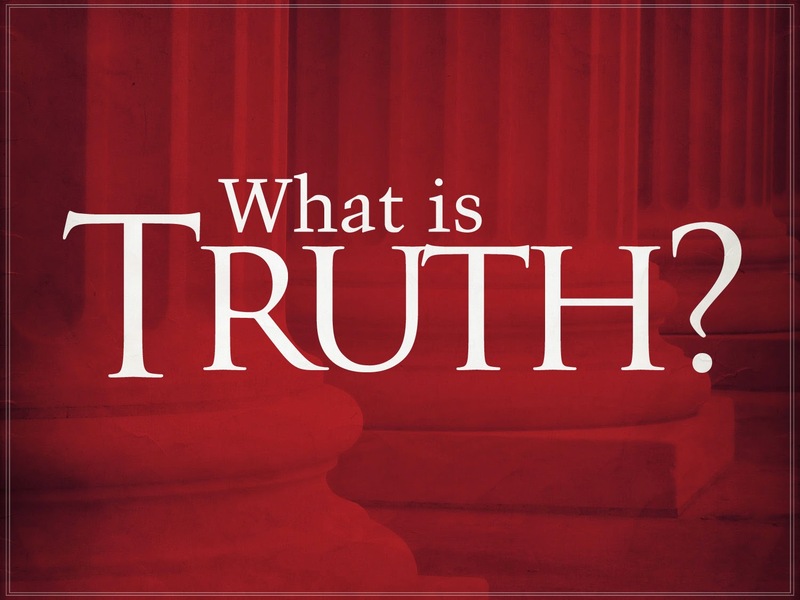 Feel free to respectfully share your definition of truth in the comments section below. I am interested in reading your viewpoint. Maybe, instead of demanding adherence to our truth, we should be more concerned with grasping and defining what true love for our fellow man means and acting on that?